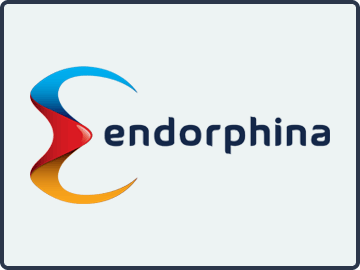 Endorphina has been running since 2012 out of the Czech Republic, and they are known for producing extremely high-quality online slots in particular. First established in 2012, Endorphina has gained a lot of attention for the quality of their work in the time that they have been active. Unlike a lot of their competition, they do not focus on providing a complete software solution. Instead, they focus completely on the slot sector of the industry. This has allowed them to get a lot of attention for their work since they aren’t spreading themselves too thin, and that includes awards and other accolades. On the licensing front, Endorphina as a company itself does not have a license in any particular jurisdiction. Their approach to this is a bit different than some of the larger names that have more titles. Instead of following the traditional route, they only work with online casinos and software platforms that have their own licensing intact, and they subject their games to audits, fairness testing and the like through that approach instead. Players still end up with games that have been completely and totally tested for fairness and randomness, but it saves redundancy on the backend for all parties involved. A great selection of games from the top software providers in the industry. A good reputation for paying out when they are supposed to, preferably with a wide range of different banking methods available. Rock solid customer service with multiple ways to contact the support team for 24/7/365 care. We’ve made a number of recommendations for online casinos that use the Endorphina online casino software. However, there is a bit of variation between those sites, so it’s hard to recommend any of them as a “one size fits all” solution. Instead, we’ve based our approach on giving players the information that they need to make their own decision about where to get in on the action. This will allow you to find a great place to play that fits your wants and needs without feeling like you are being put into a mold that doesn’t fit what you need. Endorphina’s games are based entirely around Flash. This means that you only need a web browser to connect and play as long as you have an Internet connection, so there’s no download required. This puts players in a position where they can play from just about any type of computer or mobile device out there, making it a very flexible company that keeps its arms open to players from all different backgrounds from all across the world. Quality is the main word that comes to mind when it comes to the topic of Endorphina’s selection of online slots. They have dozens of games that have been produced based on the principle that having one game out that the entire industry looks to as an example of excellent game production is better than having ten games out that are mediocre and that don’t get much attention at all. It’s this type of philosophy that has gotten them to where they are in the industry where different software platforms and operators are trying to secure their games for their players. The thing that really makes their games stand out is that not a single one of them looks like they were just thrown together for the sake of adding another title to their list of available games. Each Endorphina slot has its own concept, many of which are fairly unique, and every aspect of the game is based around that core theme. From the graphics to the gameplay, features and payouts, you’ll see that there is one cohesive message being presented with each game, and that’s what puts them up there with some of the best names in the business when it comes to the quality of their slots. We mentioned earlier that Endorphina does not offer any table games. We want to expand on why that is so that players can understand that this does not actually constitute a weakness. Endorphina’s business strategy is based on providing slots to online casino software platforms and individual casinos. For example, they have deals with EveryMatrix, BetConstruct, iSoftBet, Europe-bet and other companies to distribute their content along various channels. EveryMatrix in particular is one of the most popular casino software platforms available in the industry because of the fact that they have games from virtually every top software developer out there, so it’s clear that Endorphina is in good company. This strategy is based on the fact that the industry is all about quality over quantity, and specialization is a part of this. Endorphina has decided to target high-quality online slots and to let other companies worry about the table games. This has proven to be a very successful approach for them due to the overwhelming reviews their games have gotten from players. Slots that cover a wide range of unique themes and concepts. Flash-based titles that can be played from a lot of different computers and mobile devices without any downloads. They don’t produce their own table games, though their slots are always on casinos that do have table games available. Because they focus on quality instead of quantity, they don’t have the largest selection of games out there. Some of their games can take a few moments to load because of the high-quality graphics used. Endorphina is a great software company that develops some of the best online slots that you’ll find in the entire online casino industry. They do not develop table games, but their content distribution agreements put them in a position where they really don’t have to. Their quality-over-quantity approach has gotten them a very long way in a relatively short period of time, and they have constant momentum from expanding through business deals and the release of top-tier online slots.